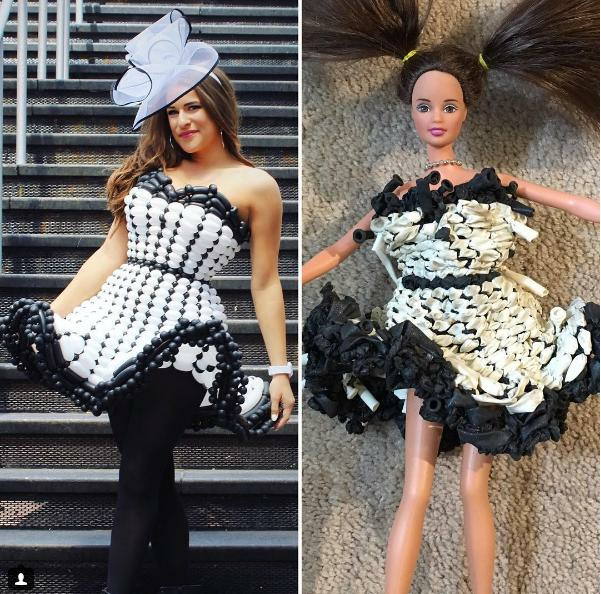 These Dresses Made Out Of Balloons Will BLOW Your MIND! Well if your outfit doesn't quite stop traffic now, these balloon dresses will certainly have you going out with a BANG! Lets face it. Most of us have a hard time trying to blow up a balloon, let alone create party animals and shapes out of it without the darn thing popping. Introducing Molly Balloons from Kansas City! 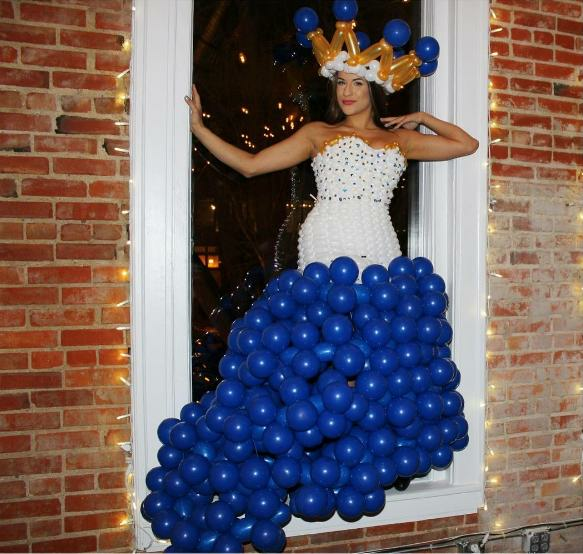 Unlike Dorothy from The Wizard Of Oz, this Kansans doesn't give talking lions a heart, but she certainly knows how to whip up some wardrobe magic, making ballgowns entirely out of balloons! From colourful two-pieces to full length cocktail dresses, Molly uses balloons of all sizes and shapes to create these temporary art pieces that you can actually wear. 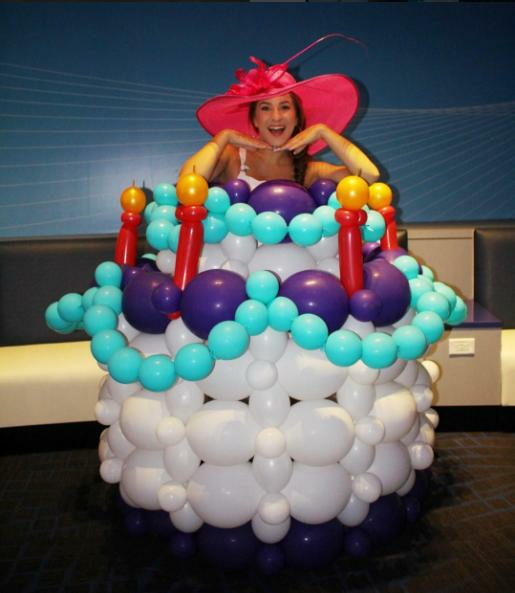 Since the age of 15, Molly has been a professional balloon artist, but only decided to expand her designs to dresses after choosing what to wear for her homecoming prom. Unsurprisingly her outfit was hit, winning her the homecoming queen crown - which may have caused her dress to go off with a different kind of 'bang' - but her inflatable dreams didn't stop there. Molly's balloon dresswear really took flight when she made a series of outfits to mirror her favourite baseball teams. 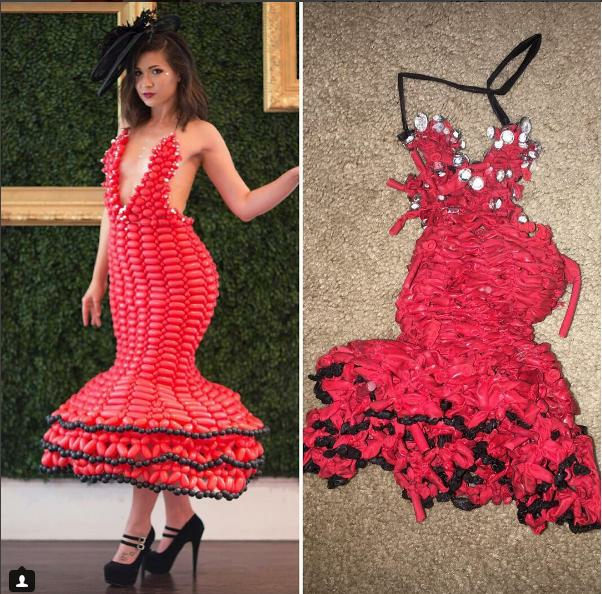 ‘There was one long red gown that I made that ended up taking around 17 hours because of different troubleshooting I had to do,’ she explained. We'll take two of those with some ear muffs to avoid the squeeking, thanks Molly.